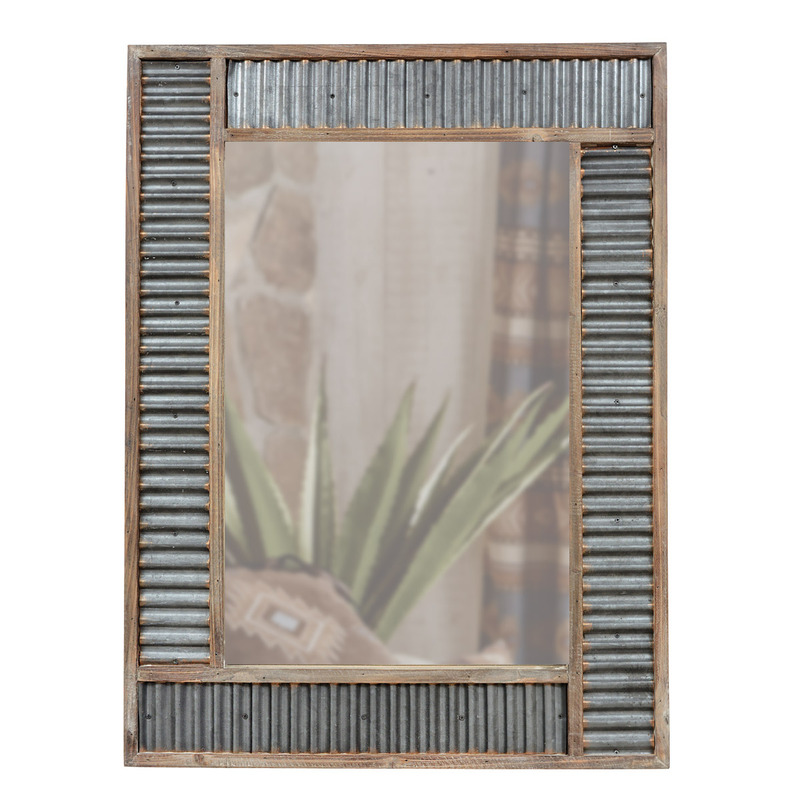 A Lone Star Western Decor Exclusive - This wall mirror with a rustic wood and corrugated metal frame adds ranch flair to your space. Hangs vertically. 23 1/2"W x 1 3/4"D x 31 1/2"H. Allow 2 weeks.